The project I Do in Italy is entirely overseen by Anna Marinello and her team, which, in keeping with their strong background in the world of weddings, has decided to inform the whole world about the best options available in Italy to organize a dream wedding. 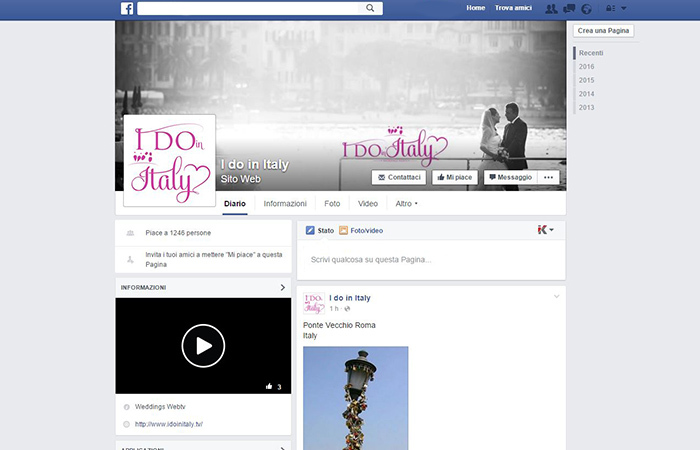 This is an ambitious challenge indeed, which is made manifest on a website and guidebook as a point of reference for foreigners looking for the best locations to plan weddings in Italy. 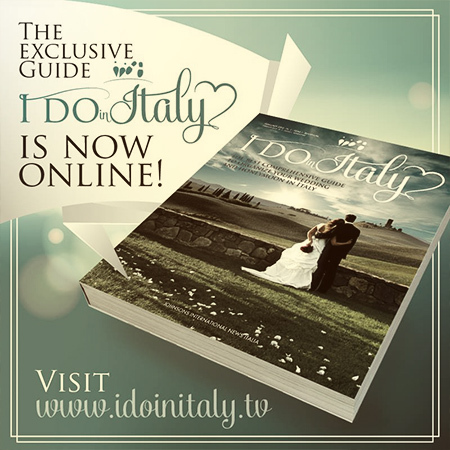 “I Do In Italy” is not solely this, though; it is a true and veritable springboard meant to project abroad all of the best aspects of the “Made in Italy” brand offered by those working in the wedding industry: wedding venue owners, artists specialized in breathtaking decorations, classy and refined catering services, luxury hotel and resort managers, professional photographers. 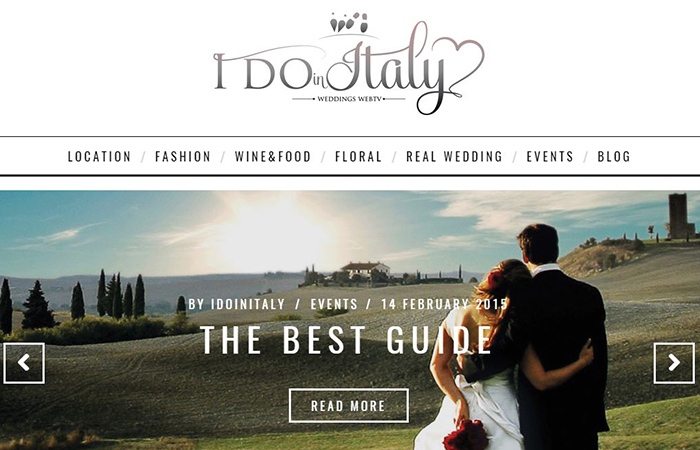 By planning your wedding in Italy, you let the world know what you’re doing: that you trust in I Do in Italy and have an absolute guarantee of a magical ceremony with the type of atmosphere that only the Bel Paese could provide, and if you are an entrepreneur in the wedding industry, you can form part of a unique market.